TREATMENT: Why are therapists hesitant to give a BPD diagnosis? BPDFamily.com > Community Built Knowledge Base > Library: Psychology questions and answers > Topic: TREATMENT: Why are therapists hesitant to give a BPD diagnosis? Re: Why are therapists hesitant to give a BPD diagnosis? I think this is a good topic to discuss, perhaps using the term "inter-subjectivity" as a basis for what it seems you are trying to understand and relay to the group here. Inter-subjectivity is how we can express ideas in a way that is necessary for communicating with one another. Take for example the word "blue". We all know what blue looks like, but do you really know what someone else's perception of the color blue is? Inter-subjectivity allows us to agree upon a term so we can use it in a meaningful way. Relating this concept to what I think you are saying about being subjective with psychological diagnoses, it is a way we can have some common discussion of our observations and express them in a way that promotes understanding and progression of thought, and can help with behavioral assessments and a courses of action. now or you'll be doing those things forever. U have to totally stop. Because every lil tidbit u find leads to more questions we need to answer. Like a crack addict that more hit could get them back in it fully but with us that one lil tidbit gets us back in fully too . Just how I see it. "Why is a BPD diagnosis not given out more often?" It's at the root of a great insecurity many have... .is the person in my life "ill" or is it me? What does it all mean when a person in our life fits many of the criteria of BPD or BPD traits (but not the obvious tangible criteria sch as cutting, suicide)and have seen a therapists and not been diagnosed or treated. lasagna points out insurer issues. Lincoln points out that at certain types care providers do not have the education and background to diagnose these disorders. lasagna points out the potential negative impact on the therapy... .that patients often don't return (as a dx is telling an insecure, hypersensitive person that they are their own problem. geroldmodel point out that the "diagnosis" can't be made by a social worker, or non-MD therapist. All good points. But it is also important to consider that even in the case of skilled, specialized psychiatrists, they don't have the equivalent of the low cost technical tools like blood tests and x-rays to diagnose patients like other doctors have. 1. Clinical Process Psychiatrists are limited to what the patient tells them. This communication is a function of time (appointments are under an hour), communication skills of the patient (remember, people often see a therapists when they are in crisis), patient self awareness and honesty, and patient follow up (coming in for additional appointments, reporting progress). My understanding is that many clinicians work through a hierarchy of diagnosis and treatment - treating the more episodic, pharmaceutical responsive, and lower cost conditions first - they go after the "low hanging fruit". Many of the Axis I disorders fall into this category. If this does not resolve the problems, they dig deeper. The process is a little like peeling back an onion and dealing with each new layer. If the patients heals or stop coming in, the pealing process stops. Insurance company reimbursement policies tend to encourage this approach. Axis II disorders are far more expensive, complex treatments. And they are often obscured by other comorbid conditions. In a hospital setting, there is more time to analyze and diagnose a patient. Outpatient treatment, however, is often very time limited. Right now with the current medications and therapies that are available, a diagnosis of BPD (except in cases of suicidal ideation, or cutting) is likely to come later (rather than earlier)... .the diagnosis of "high functioning" BPD is not obvious and straight forward. 2. Subclinical The discussion also raises an obvious suggestion that many of the partners, parents, children here aren't "BPD" by the clinical definition... .they have some traits, or many traits, but not enough, or severe enough to be diagnosed. They are extremely difficult people, nonetheless. In many ways, the same tools, options, and thought processes are valid in subclinical situations... .maybe even being more effective. Anyway... ."General BPD Topics and Questions" is an information exchange board... .for me, this was a good exchange of information we have gathered. Thanks. If you look at the diagnostic process, in practice , it's pretty clear that in the absence of a serious tramatic event (e.g., attempted suicide) that a personality disorder is diagnosed over time and based on non-response to therapy -- it's not a first line diagnosis. Here's the therapeutic view as I understand it. BPD need a connection to a T that is accepting, not rejecting. Labeling a pt as BPD certainly can be perceived as very rejecting. Instead, the therapist acknowledges the very real emotions (fear, sadness) that drive BPD behavior and validates those feelings. Alternative, healthier reactive behaviors are discussed in a non-judgemental tone. You cannot do therapy with an empty chair. A very valid point. Over here in the UK organisations, such as "NICE" use the DSM and ICD 10. That does NOT mean ALL will use these tools. Some may decide to consult them when THEY consider it appropriate. This can be a serious delay in therapy. Some may miss the tell tale signs. Some may even be unaware of what they are looking at due to inexperience in that disorder. Sometimes it is only when the sufferer is in crisis that they come forward. Quite often a delay can lead the sufferer not getting the help they need at that time and doing so puts the sufferer at risk, even children if the sufferer has them. I know from my paperwork that when a therapist comes to the home of the suffer then the sufferer became confrontational. This makes the therapist become defensive in some cases. However, then when the sufferer becomes calmer the they consider the crisis is over BUT not resolved. So the cycle will reappear at some time later. With the sufferers moving locations at times can lead therapists/councellors going through the same processes again. This can lead to numbers of sufferers being low. "NICE" maintains that treatment should be carried out in a positive manner so in doing so hiding the negatives from the paperwork and dodging a referral or even a comment that could point to an accurate diagnosis. I think a therapist could hand the patient a print out of symptoms/traits that the patient frequently exhibits and discuss those (without the words Borderline PD on top). If the client can see that, yes, he is explosive, yes he does engage in black or white thinking, etc. then you could later move on with the label once the person accepts that he has those traits. For instance, if you have a client who engages in splitting, then tell them that a particular behavior is splitting. And, gently tell your client that his/her personality or responses are difficult to live with. The delusion of victimhood needs to be peeled away. There's really no hope for improvement if the PD person has never been clued in that he's not the victim that he purports himself to be, and instead, is actually victimizing others! After my husband had been released from the psych ward of a hospital for suicidal plans and without any diagnosis aside from depression, we went to see a new doctor that someone had recommended. The doctor was a general practitioner but he dealt with a lot of mental health issues. I accompanied my husband and while we were waiting for the doctor to come in the room, my husband was reading various things that the doctor had on the wall. One of the papers gave a list of different symptoms and feelings that described (unbeknownst to us at the time) what it felt like to suffer from BPD. When the doctor arrived, my husband, pointed to the list and told the doctor that it was exactly how he felt. He didn't know what it was describing but he knew that was how he felt and acted. And to think he'd been to at least 4 psychiatrists prior to this and had been Baker acted to a psych hospital, yet no one ever made the diagnosis before. The diagnosis should be communicated to the person (and their family, partner or carer, if appropriate). Health professionals should only do this when they are reasonably confident that the diagnosis is correct. within the BPD framework), and promoting a view that change is possible, through a shared effort. discuss whether the person would like to inform their family, partner or carers of their diagnosis. If so, discuss how you can best support them to do this (e.g. 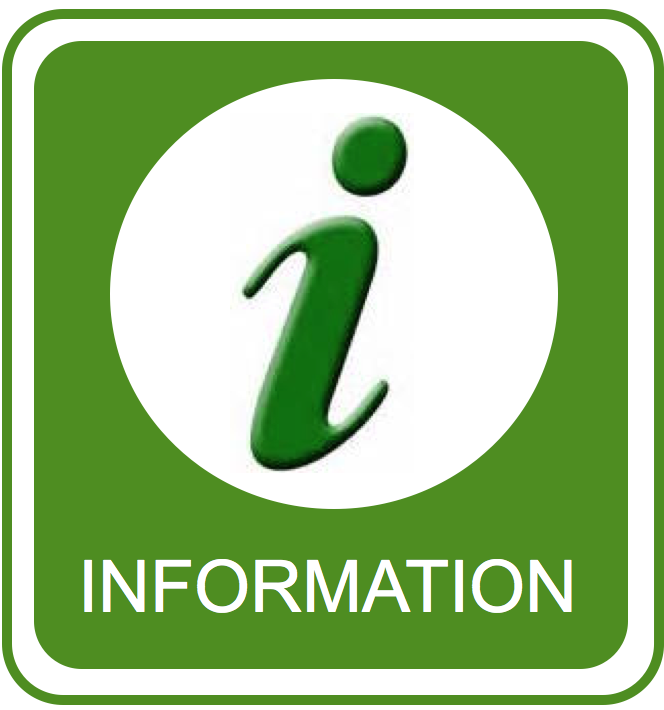 a consultation, providing fact sheets for families and carers). Some people may experience distress if they are told the diagnosis at an inappropriate time or context. The diagnosis must be explained carefully, using non-technical language. The term ‘borderline’ is not meaningful to people with BPD and their families and friends and, for some people, it may have associations with blame and stigma. Therefore, the clinician should explain the condition in a sensitive, non-judgemental way that conveys that it is not the person’s own fault, but a condition of the brain and mind that is associated with both genetic and environmental risk factors. Disclosure respects the person’s autonomy. People with BPD may be relieved to learn that their distress is due to a known illness. Information about the diagnosis is necessary for psychoeducation. Accurate diagnosis can guide treatment. Many people will self-diagnose using information on the internet. people with BPD can recover from their symptoms. It is the place of the well informed, established therapist to disclose a diagnoses to their patient... . not a family member, friend, or observer. It's the stigma that's associated with it... . think about it, BPD essentially means "crazy" in the therapy world. If you were labeled with that, could you imagine the challenges that would be faced with therapy? My sister, a T, says that amongst her partners, they don't even bother much with identifying which Axis II PD a person has because the treatment is about the same. They just refer to these folks as: Axis II. BTW... . I was surprised when she told me how much T's hate to treat pwPDs and how much they hate to treat anyone who is suicidal. The pwPDs are so demanding, fill up their message machines, etc. And, no one wants to have on their record that a patient committed suicide "on their watch." In the case of my wife, the doctors only hint at the borderline situation. She's sought help for what the thought of as bipolar symptoms last year and was treated with antipsychotics. She still had 3-4 "black" days every now and then - usually triggered by a fight or something that had upset her. Whenever this happende she called her doctor or went to the emergerncy ward. Everywhere doctors said that her behaviour was not neceserily bipolar but rather "related to personality". She did not understand this, and it took some time until I got it too (even though I work with health care issues). Recently my wife had an evaluation with her psych doctor and I was invited to come along. The doctor then explained that since the antipsychotics had not affected the mood shifts, the mood shifts that my wife had been experiencing was definately personality-related and not related to bipolarity. She also asked me how long these mood shifts had been going on, and I confirmed that they had been going on for the last 20 years. She also said that my wife was going to quit the Seroquel and try Lamictal instead. Then the doctor wanted to speak to me in private, without my wife. Then she told not to expect any great changes ahead (!). I was completely overwhelmed by the situation (which was rather emotional to be honest) and did not ask any further questions. Where I live (Sweden), Lamictal is indicated for treament of emotionally unstable personality disorder. That's what I know. The doctor has not used the term borderline, or "personality disorder" in coversation to either me or my wife. My wife is partially absent from her work because of her illness. She's in counselling because of she has trouble taking care of our three year old daughter. She has a 20 year record of seeking psychiatric help. Our family life is hell. She can't stand other people and she can't stand being alone. I've been telling her that the doctor propably mean that she's "borderline", and that's the way she's perceived it too. But you can't build a future on "hints", can you? She is also waiting for an ADHD evaluation. The very first suspicion of that and it went into the medial records and everyone got to know. Same thing with the bipolarity. As a husband I was offered to join supports groups and stuff. But when this "personality" stuff came up, I feel they're throwing the lid on the casket. My wife doesn't cut herself and doesn't hit her baby. She only abuses her child and her husband verbally and makes her little daughter cry far too often). Are they saving up the diagnosis for the people they're putting in DBT (i e the people who cut themselves?). “I'm a Therapist and the truth is, BPD is the diagnosis most people in the field absolutely detest. I came into this field to work with pwBPD, people like myself, so I was very taken aback by the way others in the field reacted. BPD does not respond quickly to medication like acute Schizophrenia or Bipolar. BPD takes extended time in therapy (YEARS) which in today's managed care system, is time that therapists just really aren't given (8-15 sessions). BPD isn't covered by many insurance companies (this is why many have a difficult time getting the diagnosis in the first place). If a doctor can't bill for it, then they won't give you the disgnosis or they just won't treat you altogether. The part of this that’s ‘us’ is our willingness to doubt ourselves. I have looked but nowhere can i find figures for the proclivity of patients to be misdiagnosed with BPD ( e.g. % of complex PTSD mistaken for BPD ) there are plenty of figures for BPD being mistaken for something else but not vice versa. This could be very hard to find, because it is not in the researchers' interests to track mistakes in diagnosing people. This could be for several reasons; for example, admitting that patients were misdiagnosed would undermine the validity of the researchers' own studies; it wouldn't support their view of themselves as competent professionals, and so on. Even if they don't mind admitting the mistakes, they may not feel it benefits them to expend extra time and/or money searching for who was misdiagnosed. There are probably not many government grants for this type of thing! What you could search for might be "reliability of diagnoses"; that is I believe a close term related to mistakes in diagnosis. The reliability for BPD is often questionable in studies; I remember reading that about 30-40% of the time, doctors in certain studies cannot agree on who has the same diagnosis. This is discussed further in the book Mad Science by Stuart Kirk. Also, the British Psychological Society did a study of the reliability of diagnoses that was interesting; it showed that often, patients were diagnosed with contrary diagnoses by different doctors. They said that one could even make an argument that, given the subjective/descriptive nature of psychiatric diagnoses, that the symptoms of each do not cluster together nearly as closely into distinct syndromes as psychiatrists assert that they do. This is not at all to say that the symptoms of any person's condition are not real and painful; of course they are. But it could suggest that BPD and ptsd are less distinct than is commonly thought. If I remember right, I read about this BPS study in Paris Williams' book, Rethinking Madness. Or, those genes are fully active, thus the child is prone to seek or create trauma and chaos… My conclusion is this ‘behavior’ begins far earlier than is discernible and has far less to do with nurture than nature.